Anthony Cunningham is calmness personified as he fleshes out the details of his side’s dramatic draw against Tyrone. But deep down he knows that Roscommon have missed out on a glorious opportunity to twist the knife further into a team that went to town on the Rossies in Croke Park last July. Whether the indiscipline that probably cost his side victory will come back to haunt Roscommon in a division of small margins remains to be seen but, overall, Cunningham was enthused by another positive showing from his charges. “When we put to the pin of our collars there at the end, I think we blossomed again. Maybe there were a few unforced errors there in the second half that we’ll tidy up on. But for us, it’s great progress and we’ll take a lot from it,” he explained. 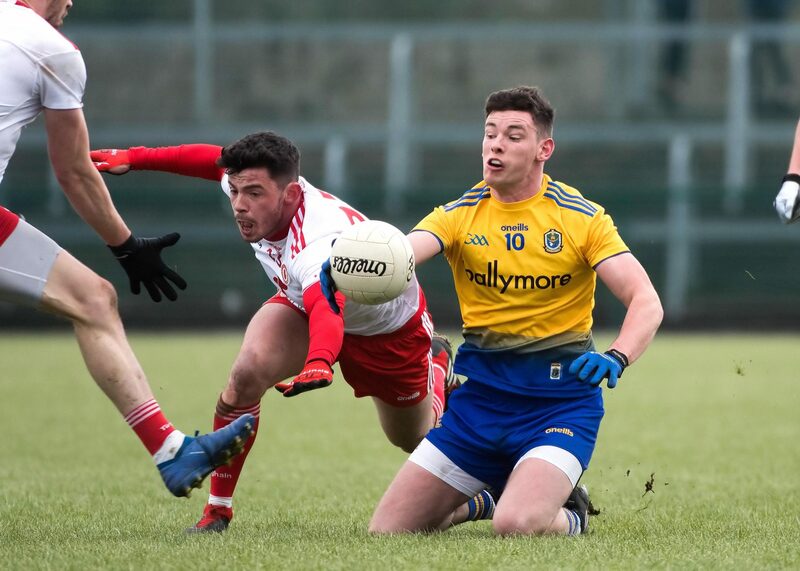 Cunnigham admitted that his side had embarked on a steep learning curve, and with players like Seán Mullooly and Brian Stack due to return in the next two or three weeks, he hoped that Roscommon would continue to improve. “There was a really strong breeze. We knew that Tyrone would come back. They did come back but they got the first few scores (in the second half) easily. We stabilised the game and got our goal. We looked to be in a solid position but they’re a top class team. You learn so much and our guys learned so much from playing them. It’s progress, although we’re disappointed that we didn’t get over the line. But we’ll kick on again for Sunday week (against Cavan). “We were really under pressure for the last 20 minutes but we really stood up to the elements, alongside the physicality and ability of Tyrone. “We always want to maximise the points from every game. That’s the game we’re in, and that’s how competitive it is. It’s a massively competitive league. We have to keep going the way we’re going, and keep getting better. It’s huge preparation for the championship,” he pointed out. Tyrone boss Mickey Harte acknowledged that he expected a very different Roscommon to the one his side had steamrolled in the Super 8s last summer. “There wasn’t panic. If you look at the first 25 minutes of the first half, I thought that we played some super football against the breeze. We hit a bad patch before half time, which we seem to make a habit of doing where we ship a number unanswered points to put us into a bad place. “We knew that since Anthony has come in that Roscommon have been much tighter at the back. They play with a lot of power and a lot of physicality, and they’re hard to break down. So we probably thought that we’d have to get a lot scores outside the zone. We were chipping away at their lead well before we conceded a bad goal. “Maybe it was one of those situations where the players were trying to be too cautious — they didn’t want to concede a point but they ended up conceding a goal. At that stage, I thought it was probably lights out for us. But the players showed a lot of persistence and quality to drag ourselves back from where we were. So I’d be very pleased with the performance overall, despite the few blips that we had. “Of course you’d be disappointed because we needed the two points more than Roscommon. It’s a good result for them regardless because they have two points to go with it. We have none to put with ours. Of course it’s better than none but we needed to win more than Roscommon, and we didn’t get it. To their credit, they have three points after their three games. We only have one,” he concluded.